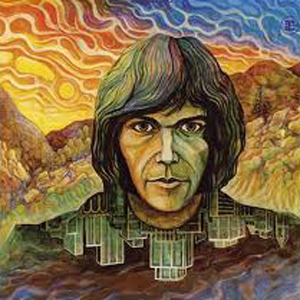 Neil Young's debut album was released at the height of "folk rock" and "country rock", so its quiet tones fitted the era perfectly, as psychedelia gave way to wistful, airy, acoustic and poetic songs. There was some rock on the album too, though, in places, paving the way for some of his later work. The sound on this remaster, which came from the "four first albums" box set, is excellent, very warm and bassy. "The Emperor Of Wyoming" is a gentle, folky instrumental, while "The Loner" has some excellent buzzsaw lead guitar and shows the first signs of the sort of crashing electric guitar work that would so characterise his material with Crazy Horse. This is a great rock track. "If I Could Have Her Tonight" is the sort of laid-back country rock, complete with Byrds-style jangly guitar, that so exemplified that late sixties, early seventies genre. "I've Been Waiting For You" was covered most effectively by David Bowie on 2002's "Heathen" album. Here, it is certainly not as powerful as Bowie's far more contemporary version, but as far as late sixties rock went, it pretty much rocked, featuring some searing guitar. Young's voice is what it is, you just have to get used to its whining quality. It certainly isn't the best rock voice around, that's for sure, but the material was good and you just sort of get used to it. "The Old Laughing Lady" is very slow-paced, with a beautiful bass line, stark drum sound and, actually, a rather fetching, peaceful, hippy-ish vocal from Young. There are some nice jazzy instrumental parts in places, with some wild backing vocals throughout the song then it reverts back to the chilled out ambience of most of the rest of the song. It is certainly an interesting one. Its backing vocals are very reminiscent of Elton John's "Where To Now, St. Peter". Then comes brief classical string interlude - Why? Who knows. It fits in ok, though. "Here We Are In The Years" is a folky, reflective number, while "What Did You Do To My Life" also has a light feel to it, albeit with some excellent guitar underpinning it. It actually sounds very David Bowie-ish in places. "I've Loved Her So Long" is more the typical Neil Young that people would come to know in the early seventies. The album finishes with the lengthy, nine-minute "The Last Trip To Tulsa", whose length is completely incongruous with the rest of the album. It is an "on the road" narrative sung by Young with an acoustic guitar backing only. It is very much a Bob Dylan-Influenced song, although one instantly knows it is Neil Young. It is also hippily indulgent and, surely, hallucinogenic in its genesis, man.